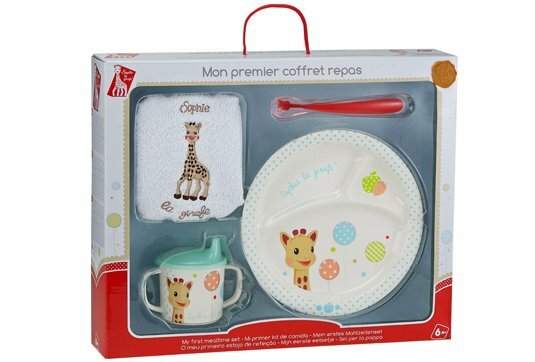 A decorated Sophie la girafe set for all baby's first meals! 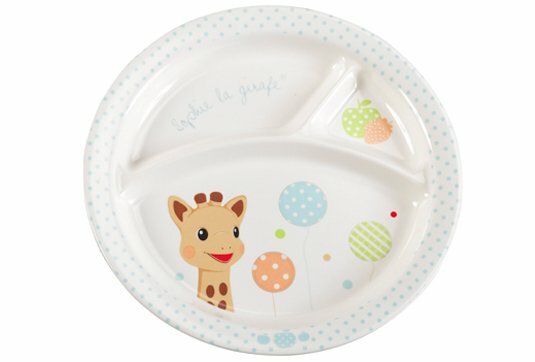 - A section plate, ideal for helping baby learn to distinguish between different tastes and flavours. 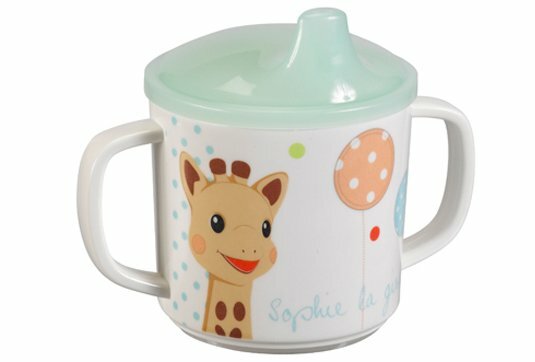 - A leak-proof Sophie la girafe trainer cup with an ergonomic lip to encourage natural sucking. With a leak-proof system for no-mess, no-drip drinking. Later on, the lid can be removed and the cup used as a tumbler. Has a non-slip base and two handles for a firm hold. 180ml capacity. 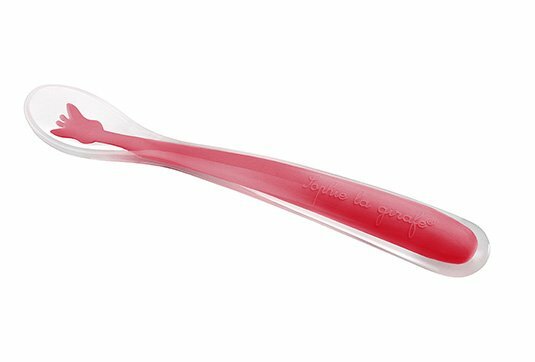 - A soft spoon with a flexible tip for extra gentle contact with baby's gums. Long, firm-grip ergonomic handle designed to reach the bottom of large baby food jars. Narrow and deep shape specially designed for baby's mouth. 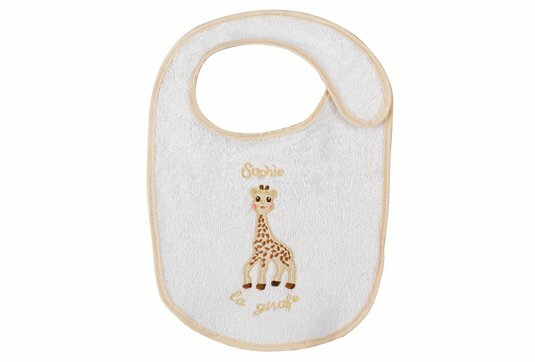 - An adorable embroidered towelling (320g) bib with Velcro® fasteners.